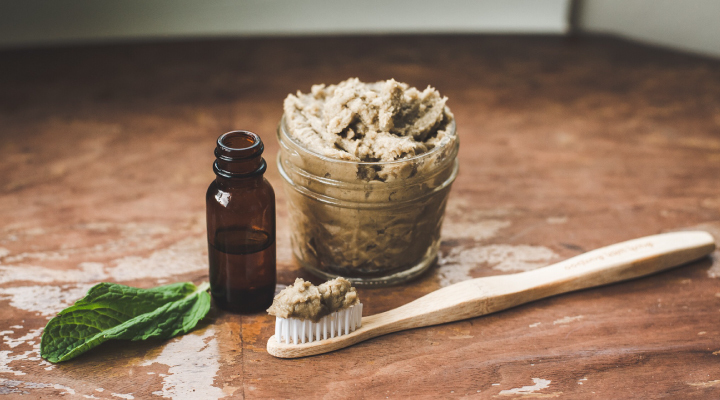 Oil pulling supposedly cleans the mouth by swishing vegetable-based oil for several minutes. Many choose to mix in a few tablespoons of essential oils in hopes of fresher breath. But oil pulling lacks the scientific data to back up its claims. “Natural” doesn’t necessarily equal “healthy” either. Adverse effects of oil pulling include upset stomach and diarrhea. Many over-the-counter types of mouthwash contain a combination of essential oils, such as thymol, eucalyptol, methyl salicylate and menthol. Rinses with essential oils have been proven effective in patients with periodontitis, according to the International Journal of Dentistry. Rinses containing chlorhexidine, a bluish disinfectant, have shown to be just as effective when replacing the ingredient with essential oils. However, using essential oils without any antiseptic has little to no benefit. Teeth whitening is a multi-billion dollar industry. Because bleaching can aggravate sensitive smiles, many are turning to citrus oils as an all-natural, affordable alternative. But many citrus flavors have acidic pH levels and can erode enamel over time. Though these essential oils have safer pH levels than their fruit counterparts, little research has been done on safety and effectiveness. Talk to your dentist about the best whitening option for you. Dental anxiety affects upwards of 30 million Americans. Some dentists are offering essential oils as a drug-free alternative in the form of aromatherapy. Clove, eucalyptus, lavender and orange oils have been proven to temporarily reduce mild anxiety. In one study, lavender failed to improve patients’ future feelings about dental appointments, but it did ease their anxiety while at the dentist. Essential oils can’t replace traditional teeth cleaning methods. Be sure to speak with your dentist if you have any questions about how essential oils may impact your oral health.